The beauty about change is that it is constant and inevitable but also malleable. We can change apart, we can change without direction or we can choose to change together. Changing together takes effort, time, vision, understanding, and trust, but its impact is like no other. That’s the change I’m building towards. MBM is a community youth workshop series that helps and encourages Montreal youth to get a better understanding of Blackness in Montreal. This includes uncovering the histories of Black communities in Montreal, engaging with Black community activities, supporting Black events & businesses, honouring Black contributions in the city, and participating in the betterment of the experiences of Black individuals and communities in Montreal. Programming varies from month to month as I try to keep our curriculum current but you can find an sample outline of the programming here. The program is designed to be split into four sessions over the course of 4 weeks (eg. every Saturday for a month) but can be adapted to fit the group’s schedule and needs. The fee to run this program for your class, group or organization varies greatly depending on the size of the group and schedule so please contact me for more information. the countless anonymous stitches that hold things together. This project created and led by Jess Glavina has taken on many iterations since its inception as a play for the Revolution She Wrote theatre festival. We’ve performed it as part of many community initiatives and transformed it into a workshop piece that speaks to our daily invisible labour, the politics around self-care and the necessity for community care. We are currently in the works of finding a way to share parts of ACOUS in a written format that can be shared online but if we book a live event in the meantime i’ll be sure to let you know via my events page. “Take Care of Your Self” is a multidisciplinary exhibition and series of events bringing together artwork, intervention, performance, and conversations by 28 artists of diverse communities dealing with the intersections of struggle and self-care. Arab, Black, Indigenous, Brown, Muslim, “Other”: We hold this space by grieving and healing together. I was honoured to work with Sundus for this amazing transcultural initiative. For the event, I had the opportunity to co-lead a community care workshop (with Jess Glavina and Teeanna Munro) and share parts of my personal journey to motherhood. This event is now in the works of becoming a published project which I will contributing to as well. Looking forward to see its final iteration and be able to share it with you all. 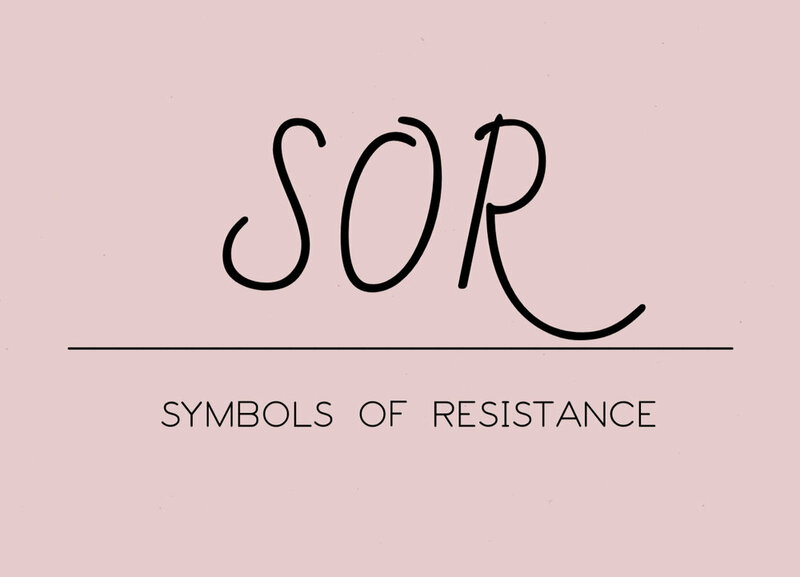 Symbols of Resistance and the Montreal Black Artists-in-Community Residency was a passion project I was able to create with the unbelievable support of my co-coordinator Meghan Gagliardi. It was an extremely gratifying and challenging project because we were able to be the blade of grass that pushed through the concrete but were also hit with the reality that doing doing this work as an unsupported and overextended duo is not a sustainable model. For 2019 we’ve had to put the continuation of this dream project on hold so that we can figure our a sustainable model that can really become a regular source of support to Black artists and activists in the city. We’re truly grateful for the first iteration of this project, there were many lessons learned and it had reveberations around the city that confirmed the need for this type of project. Don’t worry we’re gathering our tools and we’ll be back soon.